XM193 ammunition packaged in Independence box. 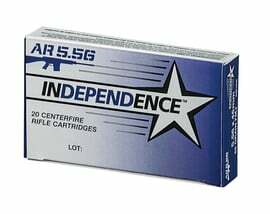 For use in AR-15 style 5.56x45mm rifles. Twenty rounds per box.